The Cyclone Festival of Cycling would like to thank all companies and organisations for their support through sponsorship of the event. 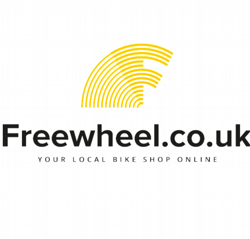 Freewheel has come a long way since 1977, from its modest beginnings as a small suburban bicycle shop in NW London, to what we now being the UK’s leading network of Independent Cycle Retailers. Freewheel brings together the very best Independent stores in the bike business to offer you unrivalled local support for all your cycling needs. Established provider of bicycling equipment such as Dura Ace, Ultegra and XTR bike component sets. Since 1919, Lazer have been mixing experience, devotion and passion for cycling to design the world's best bike helmets & eyewear. Northumberland National Park, England's most tranquil place, whose dramatic hills and sheltered valleys stretch from Hadrian's Wall to the Scottish border. A warm and welcoming atmosphere awaits you at Fratelli. A vibrant Italian restaurant based in Ponteland, Newcastle, Fratelli offers up a great selection of treats from traditional Italian cuisine to contemporary dishes, fine wines and cocktails. The UK’s leading independent Cycling Holiday provider, covering the UK, Europe and all corners of the planet. The only bike shop you'll ever need. Wingrove have been on the West Rd of Newcastle since 1925. For 45 years now we have been the main Citroen agent in the North East , for sales and service, and last year we expanded to include Subaru, Isuzu and Great Wall. This year we Welcome MG to our portfolio.